The Italian American Chamber of Commerce of Texas (IACC) provides business related services to Italian companies interested in doing business in the US and to the Italian-American business community in Texas. The chamber hosts Italian delegations in various business sectors and arranges meetings to assist them in finding partners or investment opportunities. They also provide translation and interpretation services for the Italian Consulate, organize networking and business events and advertise employment information to the community. Managing the membership at the chamber before CiviCRM was challenging in order to keep track of renewals and communication with members, but CiviCRM has solved many of these issues. Contact and Membership Management has been a major asset for IACC and the ability to send out automated renewal reminders has improved their renewal rate. CiviCampaign has also been valuable to manage trade missions. It helps them monitor the services provided and the payment collected for these activities. They have many user-defined activity types that relate to these trade missions and services, and CiviCampaign records these activities and links them to the particular trade mission. Additional customized fields and the Reports function have made a world of difference for IACC. IACC needed to organize memberships, manage events and trade missions and keep track of different services that they provide to the business community. Their memberships are rolling which allows someone to join at any time of the year and have a membership for one year from that date. It can be difficult to keep track of renewals for this type of membership, but CiviCRM does all of that automatically. IACC now uses many of the Contact Management features, such as groups and smart groups, which allow them to organize the various business sectors with whom they work. In addition, they created a custom field that helps track whether or not they have sent out a discount card to members for specials on restaurants and hotels in Italy. Plus, they can keep track of translation services that they provide to the Italian consulate. CiviCRM was the perfect fit because it has the capability to meet all of their needs. The implementation process was difficult because the data file that was initially provided wasn’t the best quality. IACC had to spend some time to clean up their data to get it ready for a successful import so it could be recorded in the right place in CiviCRM. So there was some unexpected work on the front end but the end result was worth it. "We save 'time and trouble' and have better control of our activities and events. Before CiviCRM, we just had an idea of what was happening, but didn’t have contact names or hard data to back it up. We were keeping track of things in our heads. The system thinks the same way we think." IACC previously had a “homemade” system of Word and Excel spreadsheets, but it didn’t work well. As the chamber grew, they needed a system that would grow with them. 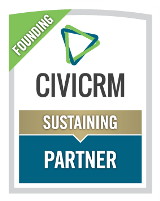 They liked that CiviCRM fit the needs of the chamber of commerce, primarily with the ability to manage memberships and keep track of renewals.